You are currently browsing the tag archive for the ‘Masakuni No.61’ tag. Let me start by saying I like tools in general. I like going to hardware stores, searching second-hand markets and looking through garage sales for spanners, wrenches, planes and all other host of hand tools. Needless to say, I also like bonsai tools. Recently I bought two new tools to add to the toolkit. I like old-fashioned tools, made from good steel. This carries into my choice of bonsai tool aswell. I like the black steel tools over stainless. Stainless steels are great but i like the older feel of the black tools. The black tool’s steel is good, the price is usually cheaper than stainless and they need maintaining. Now most people don’t like to maintain tools but I enjoy the task. I like inspecting the edges, cleaning the blades and oiling them. 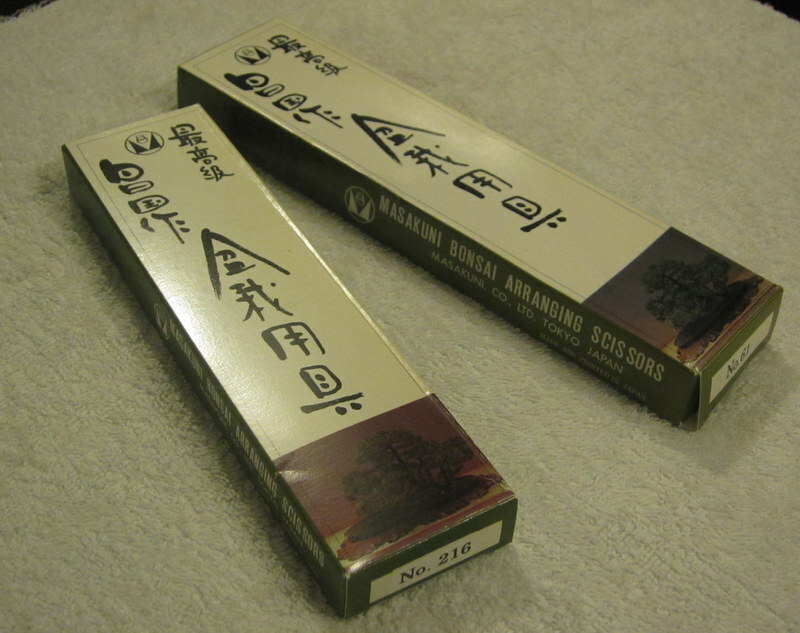 The two tools I bought were black steel Masakuni cutters designed for working on trees that are getting to a ramified state. 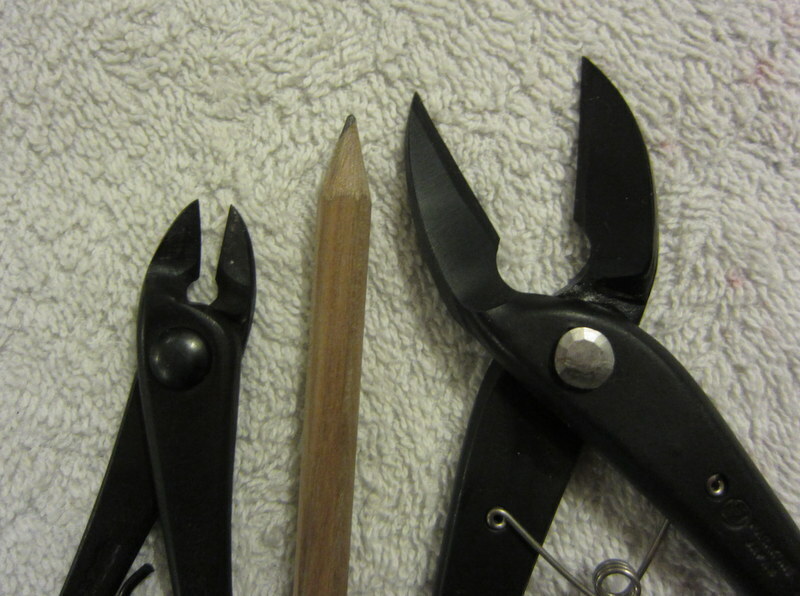 Now a lot of people say that Masakuni make the best tools…. I dont agree with this 100%. It depends on the tool and the user. I like certain brands for certain tools. For example, I really like Masakuni’s No.9/No.8009 wire scissor yet use kikuwa pruning scissors. The two tools are essentially two different sizes of branch cutters, or so i thought. 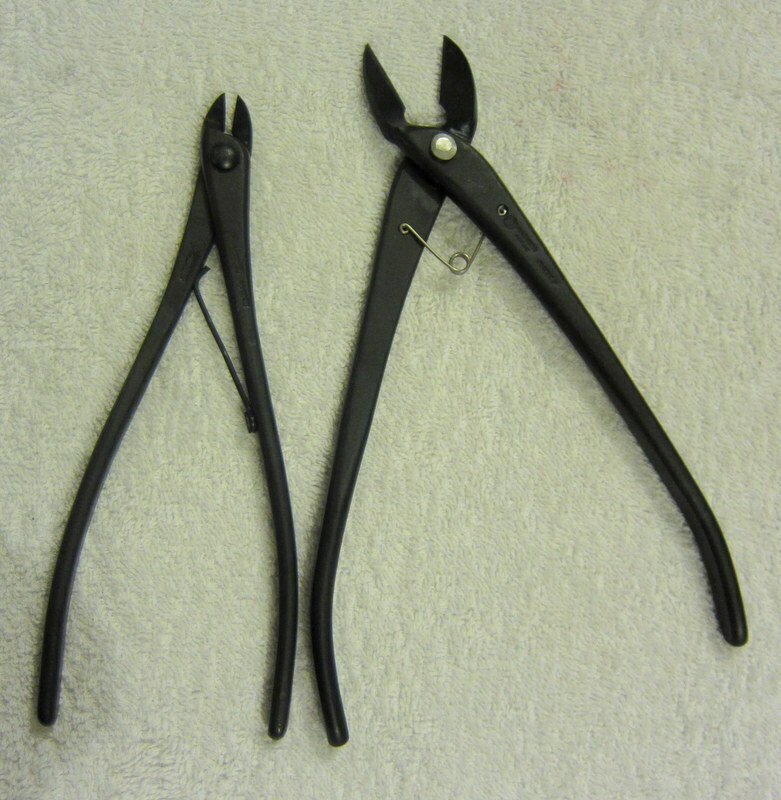 No.216 (left) is a small set of branch cutters good for removing small branches up to about 3-4mm thick that are growing in amongst many other twigs. It’s a fairly standard tool but its spring-loaded handle makes doing a large amount of pruning a breeze and it’s tapered head allows you to get it into small places. No.61 is the interesting tool. I had imagined that it was a larger version of No.216, but I was a little shocked when it came out of the box. What I was use to seeing in a branch cutter was a concave blade, this one had a convex curve to its blade profile! After the initial shock of seeing the unexpected profile I decided to try the cutters out. To my surprise they performed really well. They are narrow enough to get into dense ramification and make cuts which standard concave branch cutters are unable to do. The cuts the tool made were also really flush and clean. Usually on these hard to get to cuts I use a pair of scissors as they are the only tool able to get in amongst the ramification and make a cut without cutting surrounding branches. 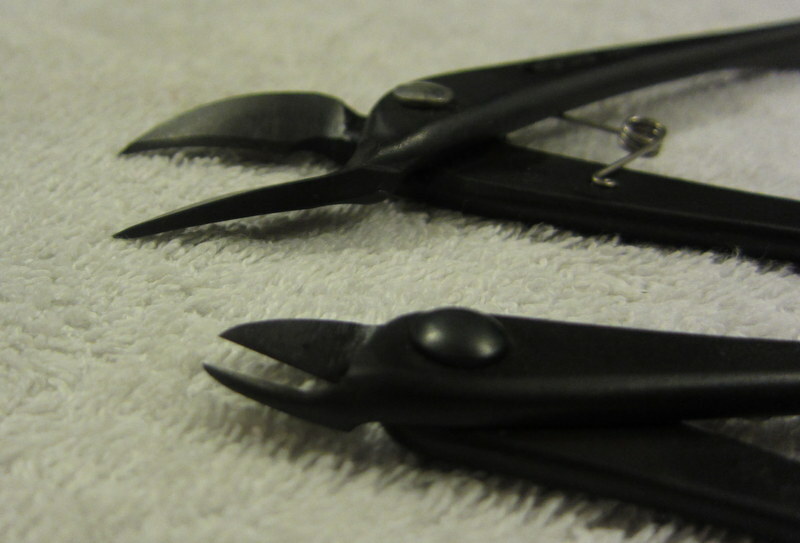 The cut stubs that the scissors leave however are always a little ugly and leave small lumps in amoungst the twigs. This tool can make cuts in similarly dense places yet leave perfectly flush cut wounds. 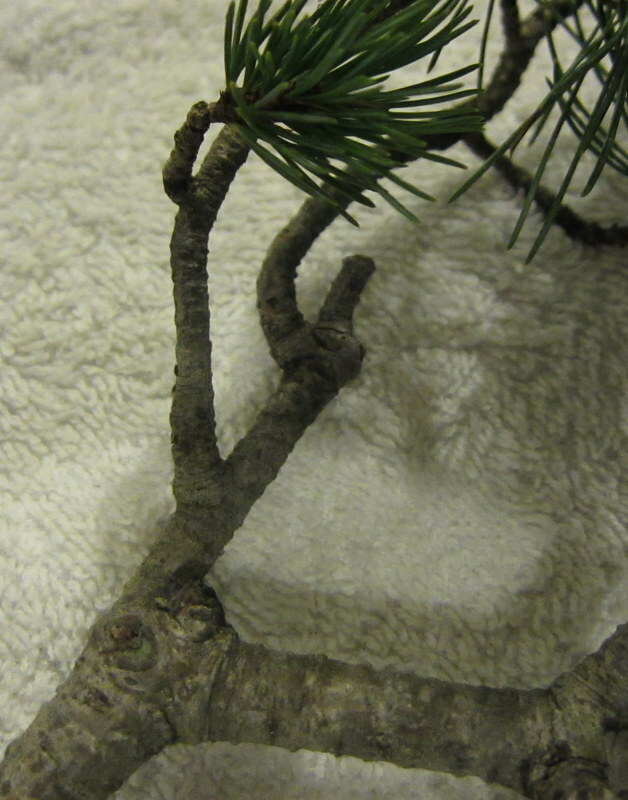 Below are a few pics I took while playing around on a branch removed from a white pine I have recently styled. It’s not really the perfect example as it’s not part of a dense canopy and I can easily get the tools in to make the cuts, but it shows the resulting cuts nicely. 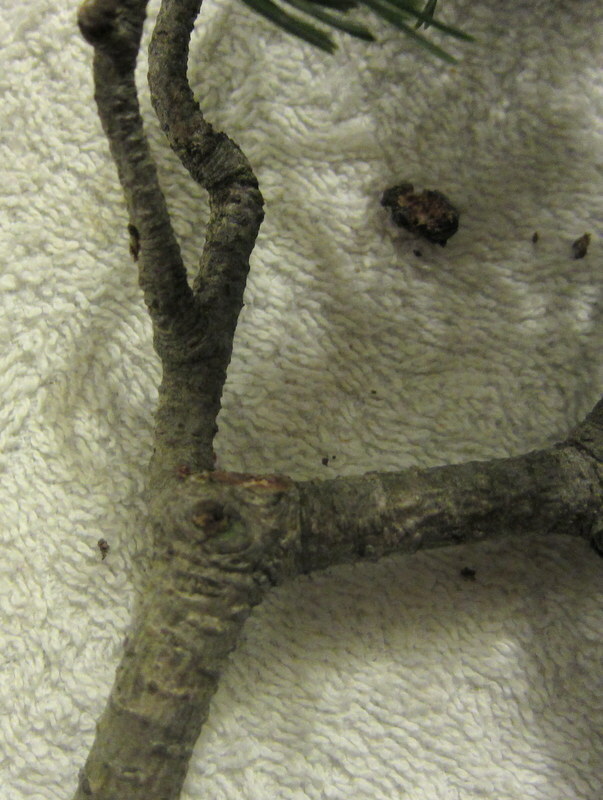 Test branch. Notice pruning stubs at the first fork and just after the second fork. First stub removed. The tool leaves a nice flush cut. I would have previously used scissors for this cut which would have left more of a stub behind. The stub inside the first fork neatly cut. It looks like this stub was left over from a cut made previously by scissors. If this was a branch on a well ramified tree it would have been difficult to get a standard branch cutter into the foliage to make this cut. Overall they are a pair of really nice tools. Could I live without them? Probably. They are specialist tools which limits their usefulness but its tools like these that really come into their own when you do actually need them. I can see them getting a fair work out this winter when it comes to pruning the deciduous trees. If you are after some tools to pad out your already full tool roll and you have trees that are either ramified or beginning to become ramified then these tools might be a good option. Just a quick heads up for my readers…. the smaller No.216 tool was imported directly from Japan and I paid accordingly. I ordered the No.61 tool from an Australian supplier who has a limited range of specialist Masakuni tools that were almost half the price of buying and shipping direct from Japan. 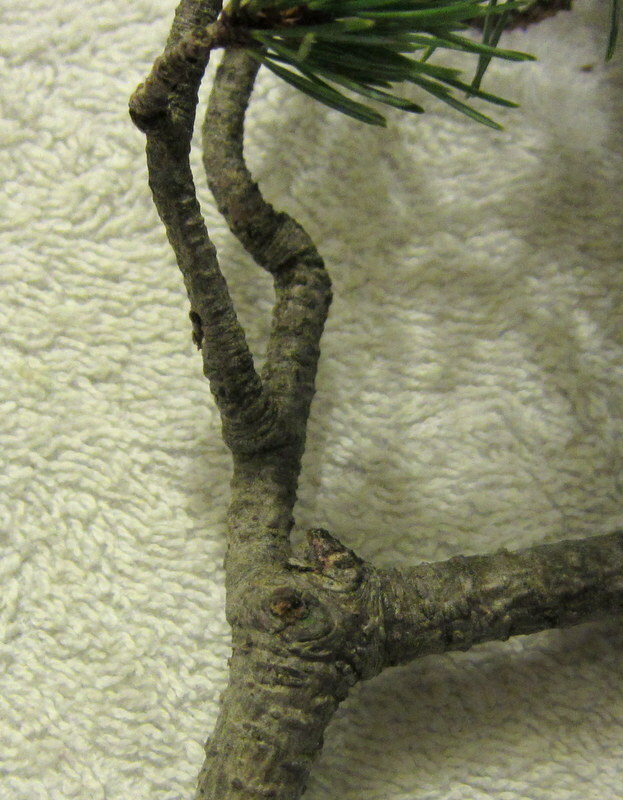 Check out their site beebonsai if you are in the market for some tools. They are worth having a look at.